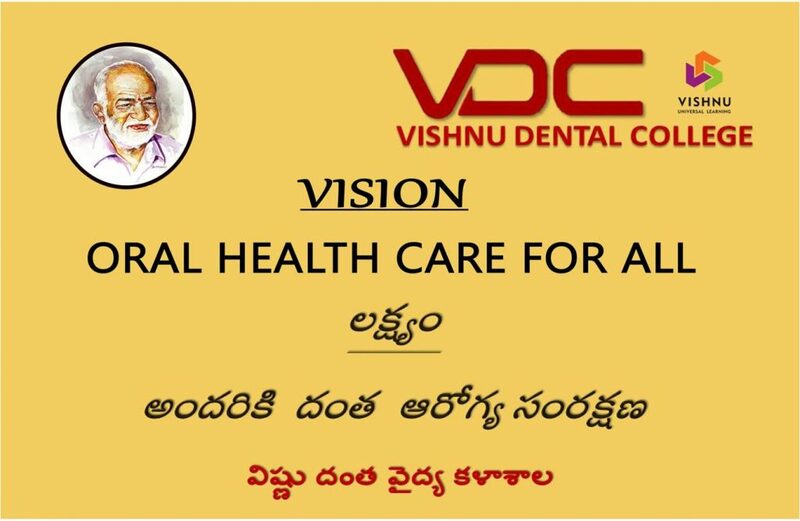 Vishnu Dental College, Vishnupur, Kovvada, Bhimavaram, Andhra Pradesh is affiliated to Dr. NTR University of Health Sciences, Vijayawada and is recognized by the Dental Council of India. The institution was initiated by Padmabushan Dr.B.V.Raju in the year 2002 with the vision of transforming the society through excellence in education, community empowerment, affordable health care and sustained environmental protection. This institutions is a unit of Shri Vishnu Educational Society which manages two integrated campuses comprising around 12 institutions. This self-financing, non-minority institute is situated in a rural area spread over 9 acres of land inside 66 acre campus located in Kovvada village near Bhimavaram. The total built up area of the college and hospital is 1,76,000 sq.ft. 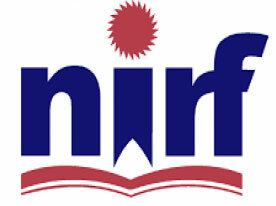 The institute offers undergraduate and postgraduate courses in dentistry. The college was started with an intake capacity of 100 students in BDS course. In the year 2008 Postgraduate Course in five specialties were introduced with total PG intake of 14. Again in 2009 postgraduate courses were started in three specialities taking the total PG intake to 23. The first batch of postgraduates from five dental specialities have passed out and the courses have been recognized by the dental council of India in April 2011. The total faculty strength is 106 among which the Dental faculty is 75 & medical faculty is 31. 62 members of Dental faculty have MDS qualifications and 13 with other eligible qualification. The average passing index of previous exams is 83.79% with few students securing top positions in the university examinations. The curricular and evaluation guidelines set by the affiliated University are implemented. The institution also practices some innovative teaching learning methods such as student mentor ship, problem based learning etc. The college encourages and provides a platform for both students and faculty to undertake research activities and subsequent publications.